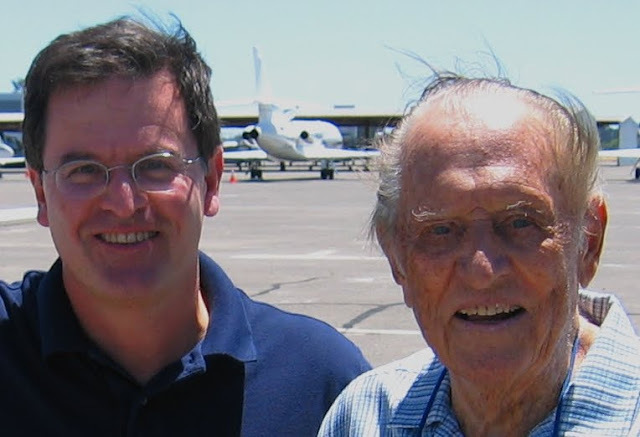 Art Linkletter (right in 2006), legendary star of radio and television, died peacefully at home with his family on Wednesday, May 26. He was 97 years old. Just one month earlier, while being honored at an event, he was asked what he considered his greatest life accomplishment. He responded - “Family”. I had the extreme pleasure and fortune of knowing Art Linkletter and he was amazing not only what he did and how driven he was up until the end but his accomplishments, repertoire of jokes and humor and infectious positive warm likable personality were truly unique and wonderful. He will truly be missed. Born in Moosejaw, Saskatchewan in 1912, Art was abandoned as an orphan and later adopted by a traveling minister and his wife. Fully intent on becoming a college professor, Art majored in English and Psychology and graduated from San Diego State College in 1934 with a B.A. degree. However during his last year in college, Art was offered a job as a radio announcer at Station KGB – a CBS outlet in San Diego. By the time he graduated, he was promoted to chief announcer and decided to remain in broadcasting. Art was a star in show business for more than 75 years. His best known shows established records for longevity. People Are Funny ran on NBC-TV and Radio for 19 years and was rated in the Top 10 for more than 11 years. House Party ran on CBS-TV and Radio for 26 years and was one of the top daytime shows from the day of its first broadcast in 1945. It won 2 Emmy Awards, as well as numerous other nominations for awards. In addition, Art starred in and co-produced many television specials, as well as acting in half a dozen dramatic shows and motion pictures. Art also performed as the Master of Ceremonies for the opening day of Disneyland in 1955. He returned decades later to officiate at the fiftieth anniversary celebration of the Park on his 95th birthday. He was a well known author having written 16 books. His best known book was one of the top nonfiction bestsellers in the history of publishing – Kids Say the Darndest Things. The book led all sellers for 2 years and is #14 on the list of all non-fiction published in the United States. The format of amusing anecdotes for this book was taken from interviewing over 25,000 children on his program, “House Party”. His latest book How to Make the Rest of Your Life the Best of Your Life with Mark Victor Hansen was published in 2006. Mr. Linkletter was on friendly terms with all of the U S Presidents from Harry Truman to George W. Bush. Many of them selected him to serve on a variety of committees and commissions. Some of those included: National Advisory Council for Drug Abuse Prevention; the Presidential Commission to Improve Reading in the U.S.; Ambassador and Commissioner General to the Australian World’s Fair and the National Committee on Volunteerism. In 2003 he was awarded the National Humanities Medal by President George W. Bush. The all-new 2011 Jeep Grand Cherokee has started production in Chrysler's nearly 3-million-square-foot Jefferson North Detroit Assembly Plant and a second shift with 1,080 employees will be added beginning July 19 to produce the vehicle. 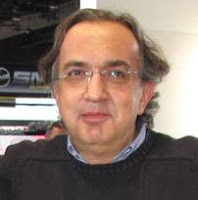 Sergio Marchionne, Chrysler Group LLC CEO says "the production launch of the all-new 2011 Jeep Grand Cherokee signals the rebirth of the Chrysler Group" calling the Jeep Grand Cherokee "a signature vehicle for Chrysler. It represents the best of this Company, the direction we're moving toward producing high quality, technologically advanced vehicles. We are confident the Grand Cherokee will receive the proper recognition for what it stands for when it hits the road in June." The all-new 2011 Jeep Grand Cherokee is powered by a 290-horsepower 3.6-liter Pentastar V-6 engine delivering up to 23 mpg and over 500 miles on one tank of gas. More than 45 safety and security features are available including standard Active Head Restraints, full-length side-curtain and seat-mounted side thorax air bags, Electronic Stability Control, Electronic Roll Mitigation, Hill-start Assist, and Trailer-sway Control. The Grand Cherokee has the new Jeep Quadra-Lift Air Suspension and Selec-Terrain systems and a 7,400 lb. towing capability. Numerous advanced technology features are offered, including a Blind-spot/Rear Cross-path detection system and Adaptive Cruise Control with Forward Collision Warning, live mobile TV, SIRIUS Backseat TV and UConnect™ Web, which transforms the vehicle into a "hot spot" to deliver the Internet directly to the vehicle. 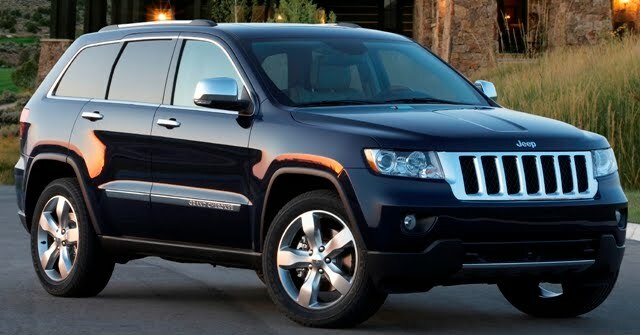 The all-new 2011 Jeep Grand Cherokee will be available in 3 models: Laredo, Limited and Overland with the 2011 Jeep Grand Cherokee Laredo 4x2 starting at $30,995 - $495 less than the outgoing model. Laredo 4x4 pricing starts at $32,995 - $465 lower than the outgoing model. I waited for the crowds to die down and went to see the movie Iron Man 2 which took in $211 million in its first two weeks in U.S. theaters. There's lots of product placement, especially on the car front. 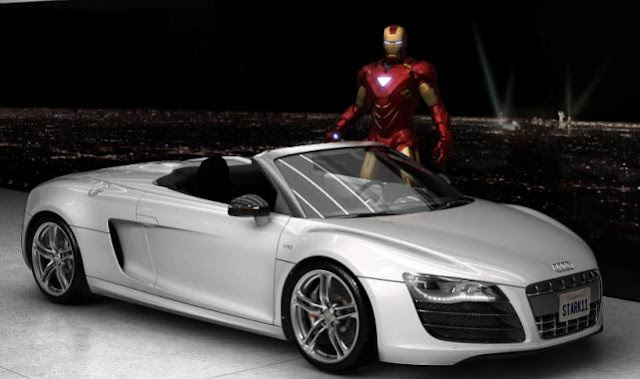 The film features Iron Man Tony Stark (Robert Downey Jr.) driving an Audi R8 as he did in the first Iron Man film but this time it's the convertible R8 5.2 FSI quattro which starts at $146,000 and has a 525 horsepower V10 engine able to thrust the R8 5.2 to 60 mph in only 3.7 seconds on the way up to a top track speed of 196.4 mph. Bentley, another VW brand, also makes an appearance as it drives head on into Formula One traffic at the Monaco Grand Prix. 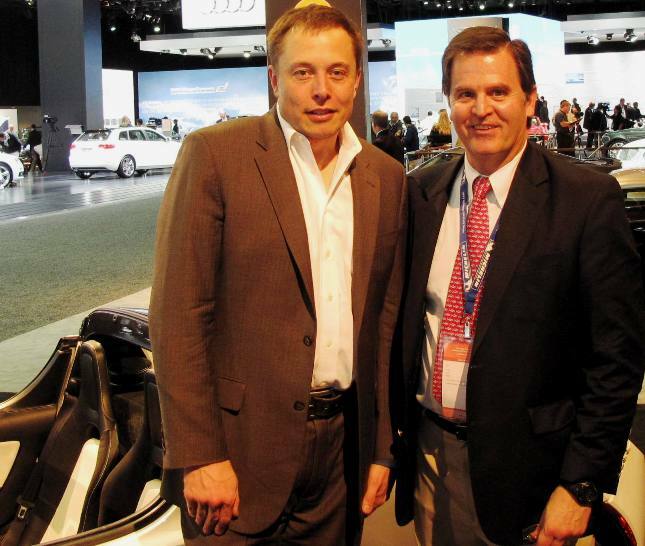 A cameo appearance is made by Elon Musk (pictured on the left), a real life Iron Man who is behind the electric Tesla vehicles. In Iron Man 2, Musk says he working on an electric airplane and, in reality, he tells me he'll start that project in a year or two. As with electric cars, I'm sure range, recharging and batteries will also be big issues for electric jets. On Thursday Tesla Motors said it purchased the former NUMMI factory in Fremont, California, where it will build the Model S sedan and future Tesla vehicles. As recently as April, the NUMMI factory was used by Toyota to produce the Corolla and Tacoma. It's billed as one of the largest, most advanced and cleanest automotive production plants in the world capable of producing half a million vehicles per year or approximately 1 percent of total worldwide car production. Last August, GM stopped making the Pontiac Vibe, the re-badged Toyota Matrix, at the Fremont plant which is conveniently close to Tesla's Palo Alto headquarters. The all-new 2011 Cadillac CTS Coupe with a 304 horsepower 3.6 liter Direct Injection V6 engine will start at $38,990 including destination charge for the standard rear wheel drive model and $40,890 for the standard all-wheel drive version that includes a six-speed automatic transmission with tap up/down shifting, 18-inch wheels, performance suspension, rear park assist, Bose audio, MP3 input, EZ Key, remote start, power driver and front passenger seats. There are three other CTS Coupe packages: The Performance Collection rear wheel drive CTS Coupe is $43,430 and the all-wheel drive is $45,330 equipped with HID Xenon headlamps, adaptive forward lighting, 10-way power leather seats, Bose 5.1 Surround Sound, USB integration and 40GB hard drive. The Premium Collection rear wheel drive CTS Coupe is $47,835 and all-wheel drive is with interior ambient lighting, rear-view camera, heated/vented front seats, heated steering wheel, wood trim, Bose 5.1 Surround Sound with navigation and sunroof. The CTS Coupe has the same wheelbase as the sedan but is lower, wider and shorter. The high-performance V-Series edition with 556 horsepower 6.2 liter Supercharged V8 engine, paddle shift controls, Brembo brakes, Magnetic Ride Control, 19-inch wheels with performance tires goes on sale later this summer at $62,990 including destination charge. The doors of the CTS Coupe are opened via touch-pads, eliminating traditional handles and OnStar is standard and includes Turn-by-Turn Navigation. 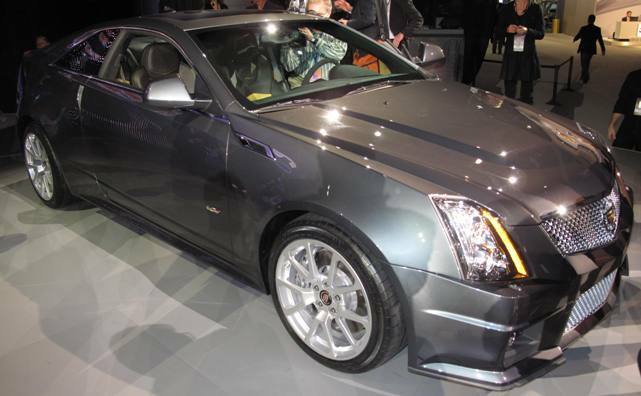 The CTS Coupe goes on sale in early August in the United States. 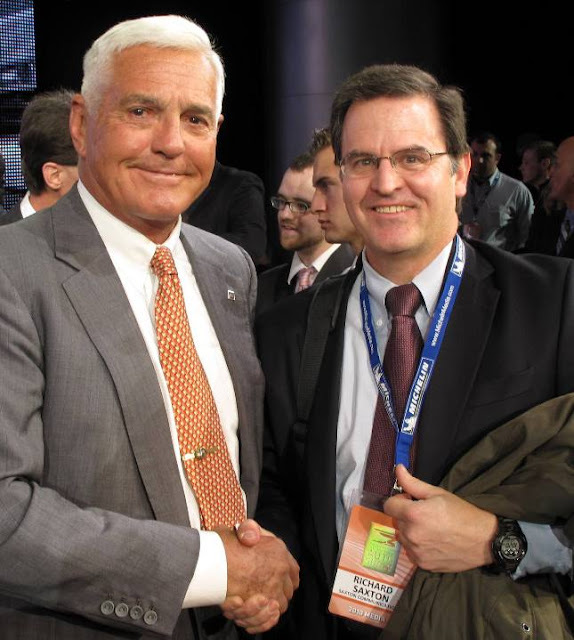 Bob Lutz, after a colorful 47-year career in the global automotive industry, retired from General Motors on May 1st and gave his employee farewell speech earlier this week. The 78 year old Lutz, born in Zurich, Switzerland, began his automotive career in 1963 at GM, after serving as a jet-attack aviator in the United States Marine Corps. Lutz held held a variety of senior sales and marketing positions at GM in Europe until 1971 when he went to BMW in Munich for the next three years serving as executive vice president of global sales and marketing and Board member. In 1974, Lutz started a twelve year run at Ford, followed by twelve years at Chrysler where he held executive and Board positions at both companies. Prior to rejoining GM as vice chairman of product development in 2001, Lutz was chairman and chief executive officer of Exide Technologies. Shortly after rejoining GM, Lutz was named chairman of GM North America and served in that capacity until April 2005, when he assumed responsibility for Global Product Development. Lutz was a jet-attack aviator in the United States Marine Corps from 1954 to 1965 while earning his bachelor's degree in production management in 1961 and master's degree in marketing in 1962 from the University of California-Berkeley. I've heard Bob speak many times in multiple languages and he's truly a one-of-a-kind straight shooter who had simple common sense goals to make the best vehicles. He is a great friend of the media and may be retiring, again, but we'll keep hearing from and quoting Bob for a long time. All the best Bob - see you soon! 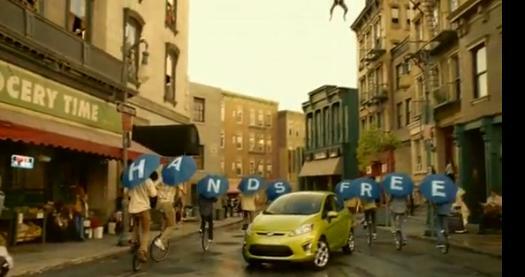 Ford is launching the all-new 2011 Ford Fiesta with an ad campaign built around "It's a pretty big deal" theme and it debuts with a new 60-second tv spot tonight during "American Idol," which airs 8 to 9 p.m. on FOX. 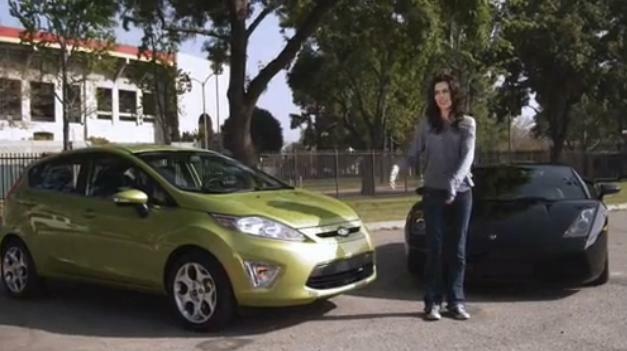 It opens with two people sitting in a Fiesta talking about the vehicle's push-button start feature. The 60-second ad also will be running in cinemas this summer, appearing on the big screen just before the movies start. The campaign includes national broadcast, print, digital and out-of-home components as well as a multicultural marketing strategy. In addition to television commercials, print ads and billboards, the new campaign also includes extensive digital advertising, which directs consumers to the website. There will be a total of 16 webisodes. The first set is already online with more than 500,000 people having viewed the first six webisodes since they debuted last week. The second group will post in June. To illustrate the benefit of having Intelligent Access with push-button start, one of the agents decided to put the Fiesta up against the Toyota Yaris, which doesn't even have keyless entry, and the Honda Fit, which has keyless entry but doesn't have push-button start. In "Dawn of the New Key Fob," a zombie chases all three drivers through the woods. The Yaris and Fit owners don't make it into their vehicles in time, but the Fiesta driver gets into his car and drives away before the zombie attack. Fiesta agent Brittani Taylor (above) appears in a webisode titled "Fiesta vs. Lamborghini," which pits the Fiesta against a $200,000-plus Lamborghini sports car. Ford has developed a multicultural marketing and advertising campaign designed specifically to communicate the Fiesta message to young African Americans and Hispanics which research shows are two of the largest consumer groups in the small car segment. Ford will increase Fiesta awareness in the Hispanic community through print and broadcast advertising predominantly Spanish with some English phrasing. Chris Perry, a 10 year Hyundai Motor America veteran, moves from Director of Marketing Communications to Vice President of Marketing replacing Joel Ewanick who jumped to Nissan in February then General Motors a few weeks ago. Perry will be responsible for all Hyundai marketing communications and brand development in the United States and report to Hyundai Motor America President and Chief Executive Officer John Krafcik. Prior to joining Hyundai in 2000, Perry worked in strategic planning and advertising for Isuzu, and held marketing positions at the Della Femina McNamee agency. Prior to that he worked at the consulting firm Diagnostic Research. Perry received a Bachelors of Science in Marketing from California State University Northridge. He lives with his wife and two children in Irvine, California. 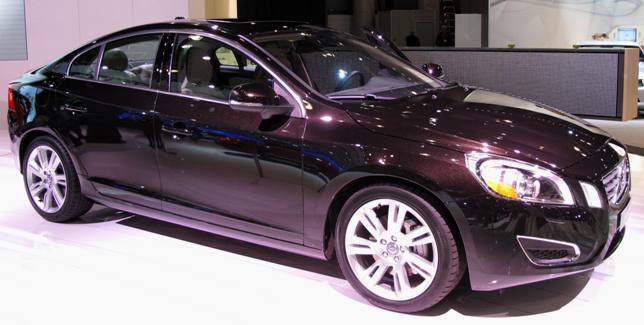 The all-new 2011 Volvo S60 sport sedan will start at $38,550 including the $850 destination charges. VCNA President and CEO Doug Speck says "When you consider you can own an extremely well-equipped 2011 Volvo S60 for only $41,400, and that you will pay nothing to repair or maintain the all-new S60 for 5 years or 60,000 miles, it really becomes a no-brainer." The all-new Volvo S60 sport sedan comes standard with a new infotainment system which includes a 7-inch high-definition color monitor accessed through steering-wheel mounted controls. Information regarding the audio system, in-dash DVD video player, climate and vehicle settings are monitored and controlled through a thumb-activated rotator. Other standard features include a six-speed Geartronic transmission, 18-inch alloy wheels, a sport-tuned Dynamic chassis, speed sensitive steering with driver-selectable settings, Bluetooth, HD Radio and Sirius Satellite Radio with a complimentary six-month subscription. The all-new Volvo S60 comes standard with City Safety, an auto braking system which is active from 2 - 18 mph and automatically stops the S60 if the car in front unexpectedly stops. Volvo will also offer Pedestrian Detection with Full Auto Brake in which radar- and camera-based system can detect pedestrians in front of the car, warn the driver if anyone walks out into its path - and then automatically activate the S60's full braking power if the driver fails to respond in time. The all-new 2011 Volvo S60 sport sedan goes on sale in late 2010 around the time when Geely of China completes its purchase of Sweden-based Volvo Car Corporation. Consumer Reports is lifting the Don't Buy: Safety Risk designation from the 2010 Lexus GX 460 SUV after recall work corrected the problem in a test where the vehicle is driven through a turn and the driver quickly lifts his foot off the accelerator pedal to see how the vehicle reacts. Consumer Report's testers found the GX460 rear end slid out until the vehicle was almost sideways. Although the GX 460 has electronic stability control, which is designed to prevent a vehicle from sliding, the system wasn't intervening quickly enough to stop the slide. Lexus duplicated the problem on its own test track and developed a software upgrade for the vehicle's ESC system that would prevent the problem from happening. The software fix takes about an hour and a half at the dealership. After the fix, Consumer Report's engineers again put the SUV through the full series of emergency handling tests and found that this time, the ESC system intervened earlier and its rear did not slide out in the lift-off oversteer test. 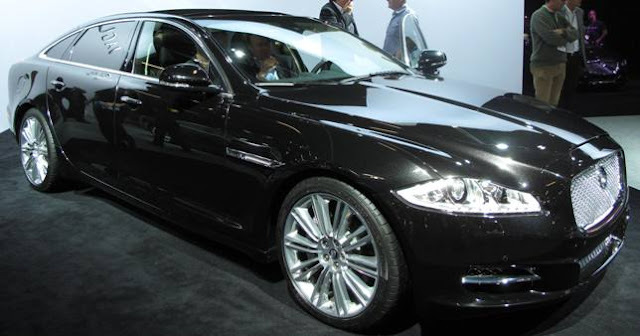 The all-new 2011 Jaguar XJ, which was first introduced in London last July and officially shown at the Frankfurt Auto Show in September (see photos), is hitting U.S. showrooms now. Along with their U.S. launch is City Takeover, a national marketing initiative that consists of extensive broadcast, print, digital and outdoor advertising across the U.S. with a focus on sponsorship and public relations initiatives in Los Angeles and New York and Miami. Also, a new national television advertising campaign and branded entertainment initiatives are hitting the airwaves, including an appearance in JAY-Z's music video, "On to the Next One." Jaguar will execute more than 50 events, media and consumer test drive events, partnerships and collaborations in each city with an emphasis on engaging consumers and tastemakers in the areas of fashion, design and entertainment. * 510 horsepower supercharged 5.0 liter V8: XJ $112,000 and XJL $115,000 MSRP. All prices include an $850 destination and delivery charge. Tax, title, and registration fees not included. Along with the XJ launch is the new Jaguar Platinum Coverage which features a five year/50,000 mile new vehicle limited warranty and complimentary scheduled maintenance for the duration of the warranty period, including no-cost replacement of select wear and tear components, and 24/7 roadside assistance. This no-cost coverage includes oil changes, filters, brake pads, brake discs, brake fluids and wiper blade inserts. Jaguar, like Land Rover, is owned by Tata Motors of India. The Jaguar name celebrates 75 years in 2010.